Tips Needed: Years-Long Story Arcs on Screen? 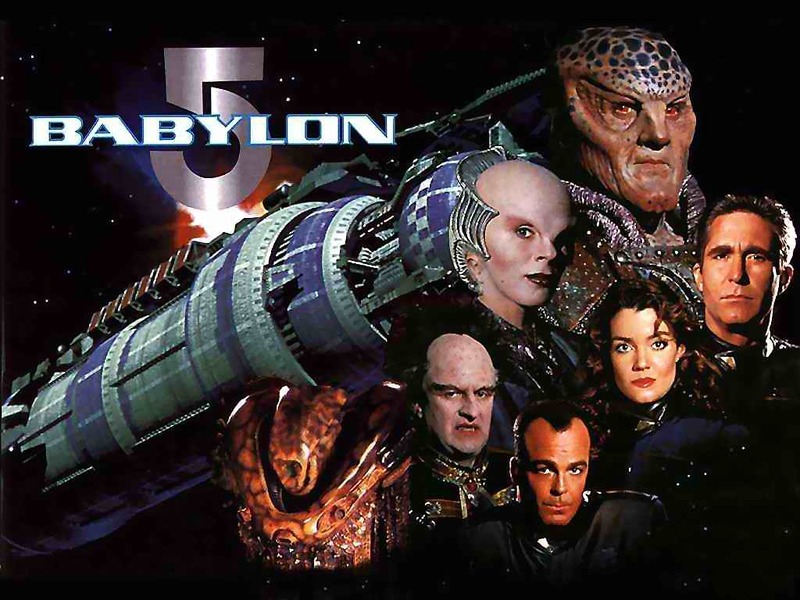 Recently I’ve been thinking of Babylon 5 quite a bit from the storytelling point of view. When it first aired (1994-1998 in the U.S.), it was unique in my experience (which was, at the time, still quite limited) for a few things. Game of Thrones and The Expanse feel very similar to B5, being tv adaptations of stories already in existence, and I’ve really enjoyed those aspects of both. Before them, though, I can’t really remember seeing that many quality series that incorporate truly extended story arcs. Star Trek: Deep Space Nine, Buffy the Vampire Slayer, and the Battlestar Galactica reboot all tried, even though none of them really implement as overarching a story as B5 does. I’ve been wanting to see (and not just read) long plots lately, so I’d really appreciate your input. I still haven’t looked into Straczynski’s new series sense8—does anyone know whether it has a similar structure? Or can you recommend any other genre shows with long-term payoff?